On Tuesday I received some excellent news… I was selected as the team leader for the Rotary District 7390 Group Study Exchange trip to the Czech Republic and Slovakia this coming spring. I’ll lead four communications and journalism professionals on a one-month educational visit to these two countries, visiting Rotary Clubs and cultural sites along the way. I went on a similar trip, as a team member, to Germany five years ago and it was a life-changing experience. I know this will be similar, although more challenging with the added responsibilities as leader, but I’m looking forward to it all. 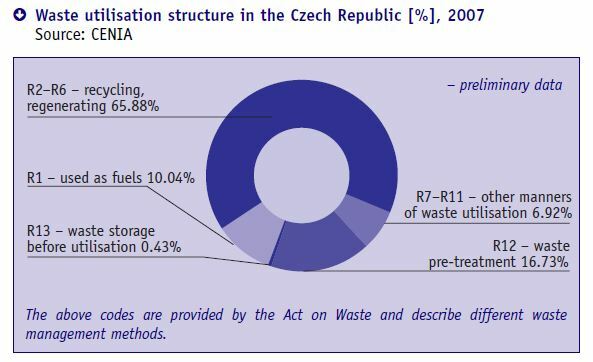 • According to the Czech Republic’s environmental agency, the Czech people ranks sixth in the European Union in packaging recycling and are the leaders in the EU for reusing materials from new products and energy generation (a whopping 68%!!). • They have six UNESCO Biosphere Reserves, which are areas of the country set aside for natural resource management. There are more than 600 reserves in 119 countries across the globe. • Unlike our country, they have ratified the UN Framework Convention on Climate Change and ratified the Kyoto Protocol, committing their country to reducing greenhouse gas emissions and acting against climate change. • They are above the EU average for the number of acres of organic farms in the country (10.5% of their total ag lands). • More than 71 percent of the forests in the Czech Republic are certified as sustainably managed. Not everything is rosy in terms of the environment there. No country is perfect. They deal with air and water pollution from industry, habitat loss and impacts to species, and other issues, but those are common to just about every developed nation. But they are trying hard to clean up sins of the past and move into a more sustainable future. 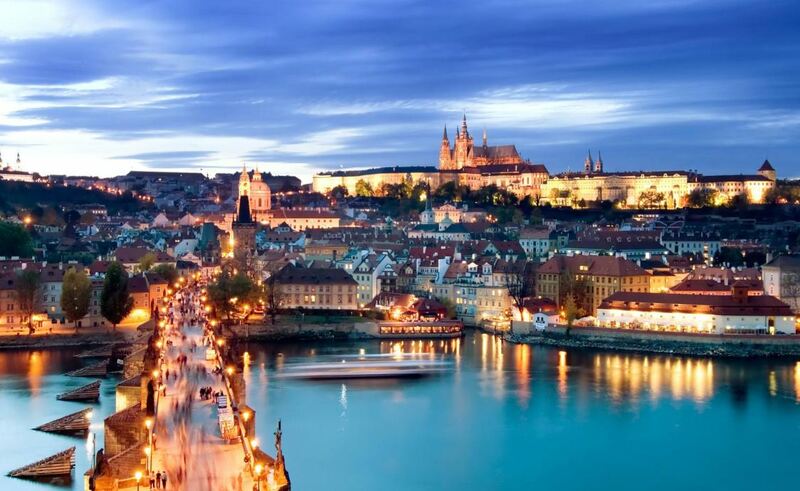 Of course there is so much about the Czech Republic that I am excited to see. Prague is one of the most beautiful cities in the world, and since it wasn’t bombed during WWII, much of the old architecture remains intact. In Germany I saw a lot of restored churches, castles and other buildings… now I’ll get to see the real deal. Plus the Czech Republic is the birthplace of pilsner beer, so I won’t go thirsty while I’m there. My trip is still many, many months away, so my excitement will continue to blossom. Na shledanou (goodbye in Czech)! In my last blog post I talked about the origins of my vegetarianism. Now I’d like to discuss why I think everyone should embrace the vegetarian lifestyle for at least a portion of every week, if not every day. Not only will it help your health (assuming you don’t eat pizza and French fries like I did in college practically every day) but it will help the environment. How so? The average consumption of meat in the U.S. is eight ounces a day, which is twice the average of the rest of the world. That equals 200 pounds of meat per person per year. The meat and dairy-based diets that we have in the U.S. are very resource intensive; and it’s not just a problem in the U.S. In places like Brazil, where they consume a lot of beef, it is estimated that 1,250 acres of rainforest were cut down in just a five-month period to create grazing land for cattle. If that continues unabated for a year that’s at least 3,000 acres lost and most likely unrecoverable. Nearly 20 percent of the land across the world (not counting that covered with ice) is used for the growing of livestock. Grain-fed beef production takes 100,000 liters (26,417 gallons) of water for every kilogram (2.2 pounds) of food. Raising broiler chickens takes 3,500 liters of water to make a kilogram of meat. In comparison, soybean production uses 2,000 liters for kilogram of food produced; rice, 1,912; wheat, 900; and potatoes, 500 liters. With the droughts that have been ever-present these last few years in the Western and Southern United States, where many of our grain-fed cattle are raised, this will continue to be a major issue as reservoirs and groundwater reserves dwindle. In the meantime, please allow me to introduce you to the Meatless Monday movement. Meatless Monday began in 2003, launched by the Johns Hopkins Bloomberg School of Public Health. In May, 2009, Ghent, Belgium, became the first non-U.S. city to go meatless. Shortly thereafter, Paul McCartney introduced the U.K. to Meat-Free Mondays. Meatless Monday is now active in 34 countries. The website, http://www.meatlessmonday.com, has a wide variety of tasty recipes to prove to you that eating vegetarian dishes can be just as enjoyable and filling as one with meat in it. Check it out and let me know what you think. And for those times when you know you’re going to eat meat, consider eating as efficiently as possible. What I mean by that is choosing animals that are better at converting their food to flesh. Pimentel found broiler chickens to be the most efficient, and beef, the least. Chicken meat production consumes energy in a 4:1 ratio to protein output; beef cattle production requires an energy input to protein output ratio of 54:1. Other ratios range from 14:1 for milk protein to 17:1 for pork and 26:1 for eggs. And of course if you select locally raised animals, especially grass-fed beef, free-range chickens, a deer that you hunted yourself, etc., you will have a lower carbon footprint than if you choose a steak from a feedlot in Colorado. Many people ask me, “Don’t you worry about not getting enough protein?” No, I don’t. I know that I can get enough protein from the veggies and legumes I eat, and the studies agree. According to Mark Bittman’s article, the average American consumes close to 110 grams of protein a day, about twice the federal government’s recommended allowance (which others suggest is larger than it needs to be). Out of that total, 75 grams come from animal protein. We could easily live off 30 grams of protein a day, with all or most of that coming from plant sources. So giving up meat for Meatless Monday won’t leave you feeling tired or sluggish. Not to worry. So what are you waiting for? Give it a go! The planet, the animals and I will give you a big round of applause. Trees are terrific! Can anyone argue with that? Well, I guess I should add a caveat to my statement, “MOST trees are terrific!” There are invasive tree species out there that are the bane of many people’s existence, including mine, like Tree of Heaven (Ailanthus altissima), Norway maple (Acer platanoides), Mimosa (Albizia julibrissin) and Callery pear (Pyrus calleryana), to name just a few. And some trees are more terrific than others. Trees native to your specific area are generally better than non-natives, although if you live in an urban area you may need some non-invasive, non-native trees to withstand road salt, the urban heat island effect and the other tough growing conditions found in urban areas. Trees like Goldenraintree (Koelreuteria paniculata), Japanese tree lilac (Syringa reticulate) and Japanese Zelkova (Zelkova serrate) will grow well under tough conditions, yet not grow uncontrollably like an invasive. Spring is a great time to plant trees, but you need to make sure you’re planting them in the proper site, with the proper techniques. Check out the TreeVitalize program website to learn all about proper tree selection, siting, installation and maintenance – http://www.treevitalize.net. Plus, if you live in certain parts of Pennsylvania you can download a coupon to save $15 off the purchase of a tree at participating nurseries. Municipalities and non-profits can even apply for grants to help defray costs on bulk tree plantings. I live in a city center, surrounded by a lot of pavement. In such situations adding tree canopy cover is essential. Trees provide us with cleaner air and cleaner water, shade to lower heating bills and make sitting outside on a hot day more enjoyable, and aesthetic beauty. 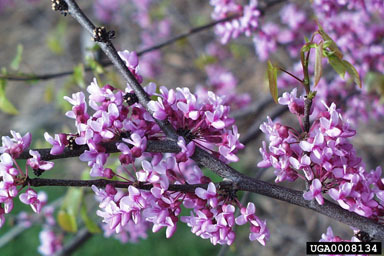 There was already a Japanese maple in my backyard when I purchased my home, but I added a native Eastern redbud tree too. It has grown a lot over the last three years, even given the poor quality city “soil” and is just plain beautiful in the spring with its pinkish-purple flowers. The flowering dogwood in front of my house provides food for the squirrels (they love to eat the fruits, sometimes to my chagrin) and blocks some prying eyes from being able to look into my living room window. Trees do so much for us! Genetically modified foods will have to be labeled if they are sold in the U.S.
Do you have any conservation-related hopes for 2014? If so, let us know about them. Thanks! I am editor of a quarterly e-zine that deals with wildlife and conservation news and the fall issue’s theme is Energy. The cover story was on Marcellus shale drilling and, as expected, it brought in many more letters to the editor than any previous article had. So far most comments have been of the same sort – saying that the article is one-sided and pro-drilling. We aimed to be as neutral as possible, mentioning some negative impacts to the environment while not directly calling drilling a bad industry. I had to keep my personal feelings out of it; something that was VERY difficult for me to do. That is the role of a good journalist, however: to remain impartial. Yet I was so upset by some of the letters that I had to vent here and share some of my feelings about drilling in the Marcellus shale. These thoughts in no way represent what my organization thinks; they are solely my own. I did a lot of research for that article and even visited a few drill sites. I will be honest, they were not as horrible as I imagined they would be, using my preconceived notions formed from watching “Gas Land” and reading various articles and non-profit organization websites. But they still weren’t what I’d ideally like to see in a forest. A lot of trees are cut down to build the pad site, the area is graded with heavy machinery, which will compact the soil (and once soil is compacted it is difficult to fix), and there were a lot of vehicles coming and going through the area. It’s not a “natural” site, to be sure, and one that shouldn’t be built willy-nilly throughout the Commonwealth. Friends ask me whether I am for or against drilling for natural gas. That’s a tough question for me to answer. The part of me that is a pure conservationist screams, “No! I am NOT for it!”, but the more practical side of me pauses and thinks, “Well, we need energy to power our daily lives. The natural gas question isn’t going away any time soon. Basically, it’s complicated!” Do I wish we could put solar panels on every roof in the state and grow native grasses for biofuel? YES! In a perfect world we could make much of our energy using alternative sources. If Germany and other European countries can do it, why not us?! But in our current democrat fighting with republican world, that isn’t likely to happen, so what else can we do? Does this mean we must drill for natural gas? In the short-term, I think the answer is yes. Is that the answer I like? No, not really, but unless we’re all willing to go back to lighting our homes with beeswax candles and taking a horse-drawn buggy to the general store (ask your kids if they’d be willing to give up their video game systems and tell me how that works! ), we have to find some sort of energy source in the U.S. and in the short-term that probably means natural gas. Back to Marcellus. Conservation of our natural resources is, in my opinion, the most important thing we as conscientious human beings can do. Yes, we have to make money so we don’t starve, but once our basic needs are taken care of I think we have a responsibility to protect our natural world because it’s the only planet we have, our very health depends on it, and once something is destroyed or exterminated we can’t bring it back. If companies are going to continue to drill for natural gas in Pennsylvania and elsewhere it needs to be done in a very cautious, science-based, enlightened way that takes into consideration the health of our forests, waters, wildlife, plants and people. This is happening now, but in a piecemeal fashion. We need more people, not fewer, out there inspecting sites, making sure companies are doing what they’re supposed to. So those people who wrote angry or concerned letters about the article, I hear you. I understand where you’re coming from in terms of your fears and worries. Pennsylvania was manipulated and trashed by industries in the past – think turn of the century loggers and coal mining, just to name a couple – and you can’t blame people for expecting the worst. We need to have those people out there with very strong opinions and keen eyes to keep everyone in line, doing the right things. I may not be allowed to picket a drill site (unless I want to lose my job), nor would I necessarily want to, but it comforts me to know that there are folks out there who are making sure our resource extraction – not just of natural gas, but of other energy sources and minerals – does as little damage to the environment as possible, until we reach the day when we can power our homes, vehicles and lives with something that does little to impact the Earth. Keep up the good fight!